April 2, 2010 - Miami Air International signed an exclusive five-year agreement to use Pratt & Whitney's EcoPower engine wash services on its fleet of B737 CFM56 engines at EcoPower service center locations in the United States and Europe. The agreement also provides for certain engine line maintenance services on a preferred vendor basis. 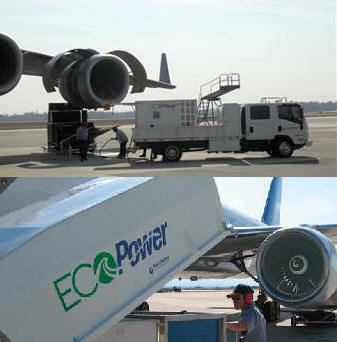 EcoPower franchisee, Jet Aircraft Maintenance, is scheduled to perform the washes at the Miami Air International and Fort Lauderdale/Hollywood International Airports. Pratt & Whitney is a United Technologies Corp.
"Miami Air International is pleased with the benefits and professional wash support we have received from the Pratt & Whitney Line Maintenance Service EcoPower team these past two years, and we look forward to continued support," said Tom Ostendorp, vice president of maintenance for Miami Air International. "We are thankful and excited to continue EcoPower washes and provide additional line maintenance support to Miami Air International," said Anupam Bhargava, general manager, Line Maintenance Services, Pratt & Whitney. Pratt & Whitney launched the EcoPower engine wash service business in late 2004 and to date has completed more than 11,000 washes on 55 engine models for more than 92 customers in 79 locations. Pratt & Whitney's exclusive EcoPower engine wash system reduces fuel burn by as much as 1.2 percent, eliminating approximately three pounds of carbon dioxide emissions for every pound of fuel saved, while also decreasing engine gas temperature thus increasing the time an engine can stay on wing. The EcoPower system, offered through the Pratt & Whitney Global Service Partners network, uses a closed-loop system with pure atomized water to wash aircraft engines, thereby avoiding potential contaminant runoff. This system is more effective and much faster than traditional engine washing processes.